Planning a barbecue? Make sure your feast is complete with one of our superb salad recipes. From a dramatically charred vegetable dish to a crowd-pleasing Greek favourite, we've got a salad recipe for everyone. 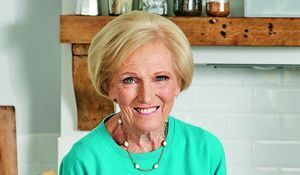 And if you're looking for even more barbecue inspiration, check out our 3 Cracking BBQ Recipes to Try This Weekend. 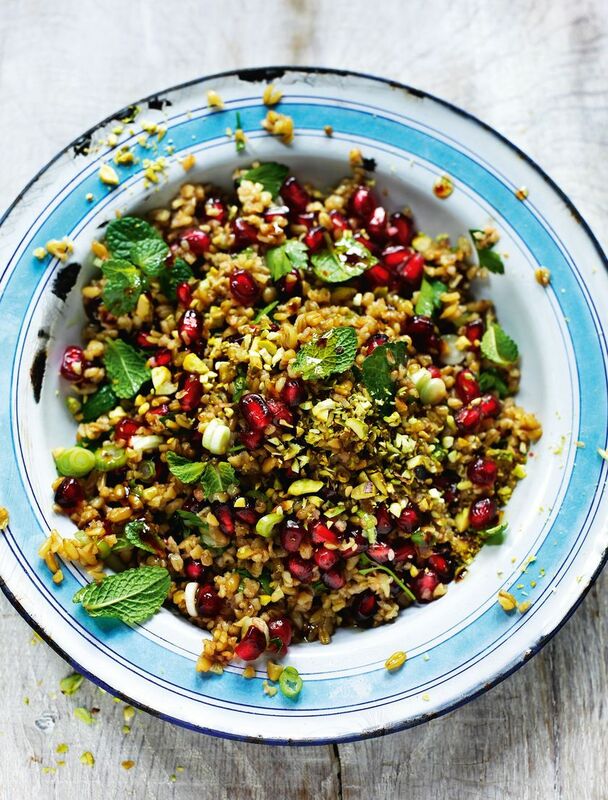 Freekeh, which is similar to couscous and bulgar, is very popular in the Middle East and North Africa. 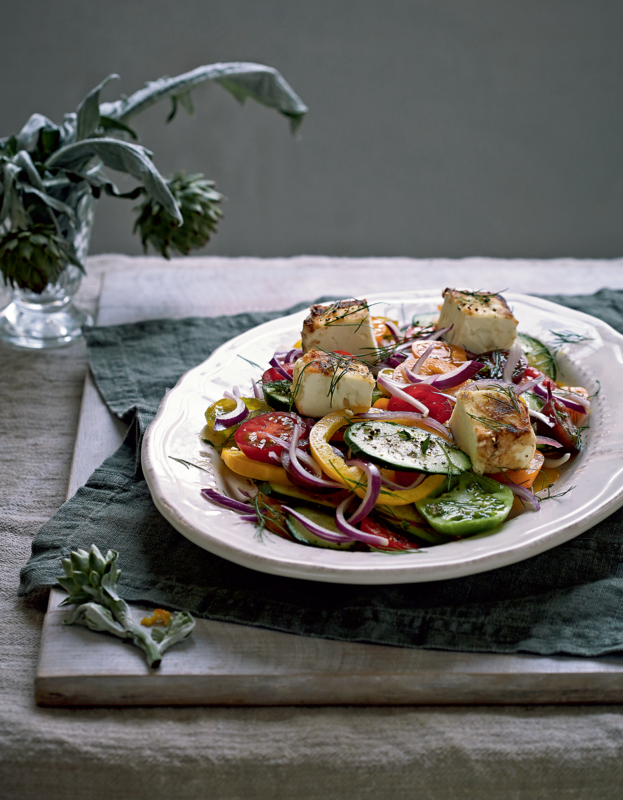 So if your barbecue is going to be full of Middle Eastern flavours, make this salad from Rick Stein: From Venice to Istanbul a staple side dish. We love a classic Greek salad. You could enjoy this recipe from FIVE as a simple supper, but we love it alongside a barbecue, too. The pairing of rich, lightly charred meat with salty feta and sweet tomatoes is quite irresistible! This recipe from Grill it with Levi is one of our favourite barbecue sides. 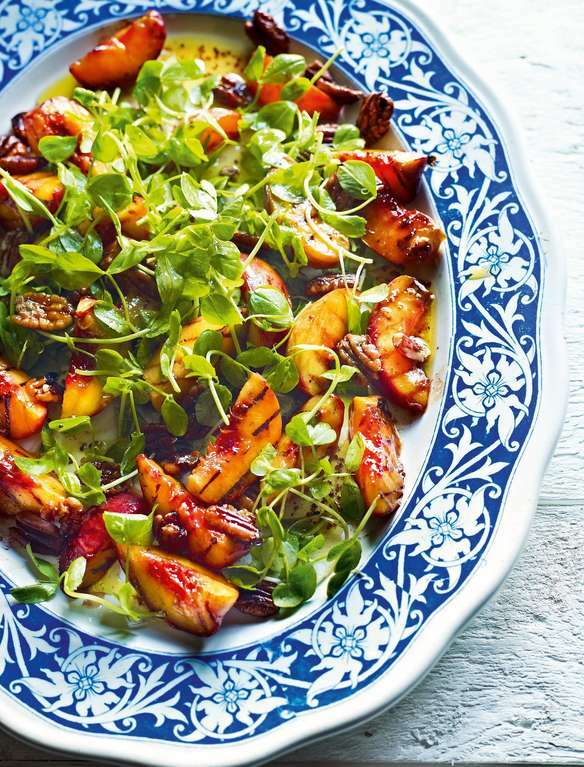 Laden with sweet, grilled peaches, nutty pecans and punchy watercress, it makes the perfect starter or side dish. And as it's screaming of summer, it's the perfect dish to celebrate the sunshine. 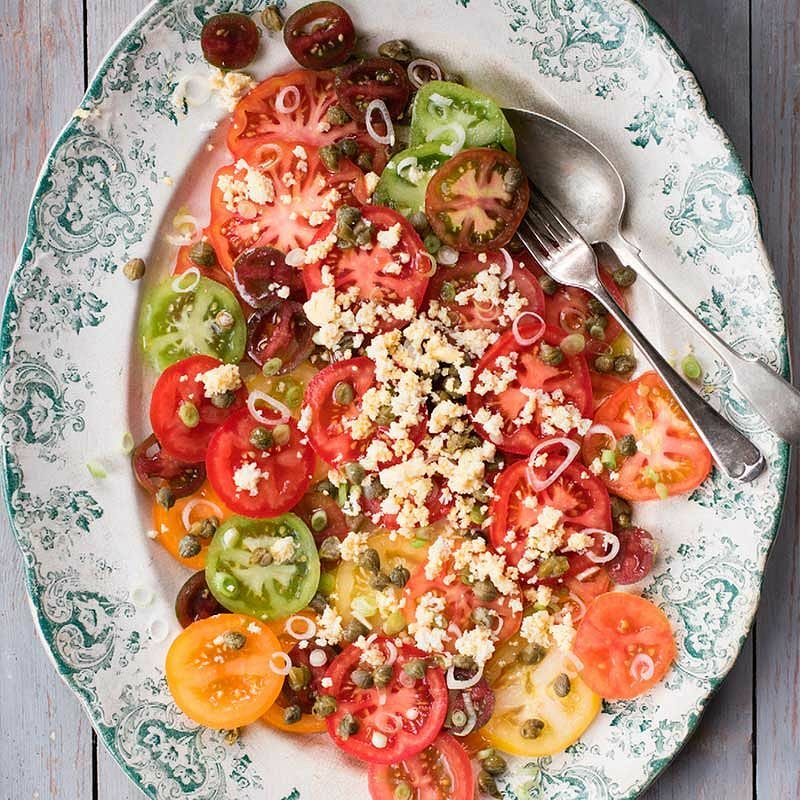 This fresh and healthy salad from Cook, Nourish, Glow: Step Into Summer is a vibrant celebration of seasonal tomatoes. This dramatic and delicious recipe from Low and Slow can be customised to whatever seasonal veg is available to you. 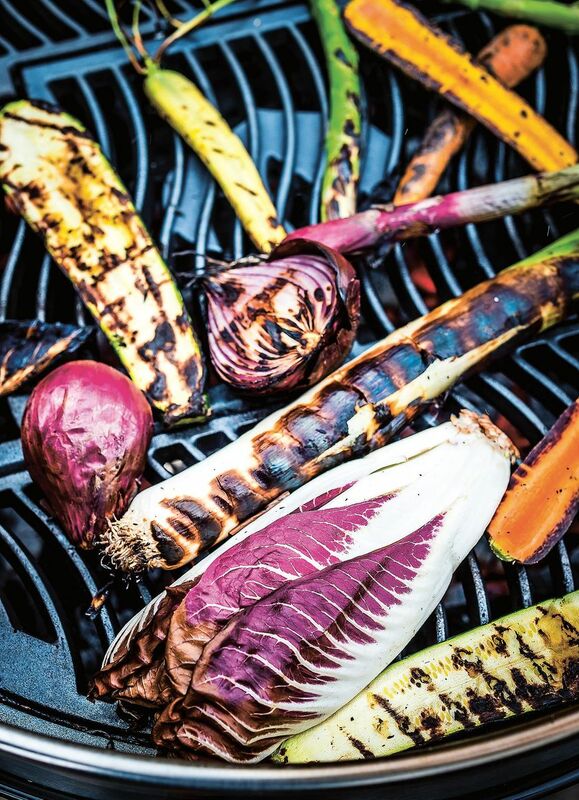 So fire up the barbecue and get creative with your veggies! 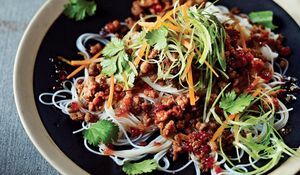 Celebrate the year of the Rooster in style with one of these 10 Chinese dinner recipes perfect for celebrating the Chinese New Year. 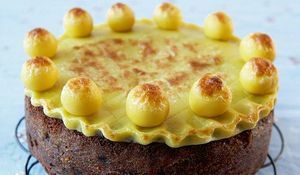 There's something for every celebration, from quick and easy simple suppers, to real crowd-pleasing showstoppers.